The Open Disrespect towards the US President in a nation that prides itself on “Respect” was enormous. This kind of Disrespect by the Chinese is not something that happens over night. The shooting down of a Cape Canaveral Launch 3 September by a US Navy Drone that would have allowed the Chinese company Beijing Xinwei Technology Group to purchase the Israeli Telecommnications Company Spacecom did help either. The real problem is that President Barrack Obama has been tasked with destroying the Entire World’s Economy. This does not sit well with President’s who are very wealthy – not with President Jingin – net worth around $2 Billion – nor with Preisdent Putin – who’s net worth is around $200 Billion Dollars. Nor does this destruction sit well with the Jinpin Family, heavily invested in Rare Earth Metals – to whom there is not market for the minerals they are currently mining. The White House handling of the Hammond Ranch Affair by the Foreign Corporation of the BLM by simply illegally arresting the Hammons openly so that the Jinping family may mine these Rare Earth Metals really angered the Chinese – it really dishonored their family. Further – the Chinese and Russians remember their history as if it happened yesterday. The English Occupation of China – eventually leading to many European nations occupying China – is still at the forefront of their mind so the destruction of the European and US Economies is a Revenge brought about for this occupation 100 years ago. President Putin has not forgotten the US/French/English invasion of Russia in 1918 either and holds it as current history as all Russians do. Of course – the Attempted Murdering of President Putin and President Jinping by the US Based CIA within last few weeks has not helped any in their relationships with Presdeient Obama reputation either. President Obama is seen by those in Asia and Russia and Europe as an arrogant Murderer and not really welcome any more anywhere. So while Obama had to leave exiting through an emergency exit in the back of the plane, President Putin got a warm welcome from the Chinese. The particular events that occurred Saturday – the Yelling at Obama’s Staff at the Airport – the blocking of part of Obama’s Press Corp from entering the G-20 meeting. It is a culmination of anger in Chinese People – A Generational Anger – towards the Political Leaders of the European Nations – especially President Obama. Now in the final strike against the West — the Gold Backed Yuan becomes part of the International Trade Basket in the IMF and is expected to replace the Dollar, the Euro, Pound and the Yen and the main currency for international settlements – the SDR – Special Drawing Rights. Originally China was occupied by British, US (British Corporation), Russia, India, Germany, France, Austro-Hungary, Japan to “Ensure” free trade. The original I’LL TRY engineer poster in the US Army – a corporation owned by the English Crown – Battle of Beijing, 14 August 1900. There is little forgiveness right now in the Chinese and this is their weakness. YUAN to enter IMF SDRs in 25 days. The IMF, however, is about to die as China’s New Bank of International Settlement begins taking over the world’s economy. US Navy blowing up a launch ad Cape Canavarel 3 September 2016. The video was pulled, put back up, pulled, put back up…. the war over freedom of speech is now being fought. 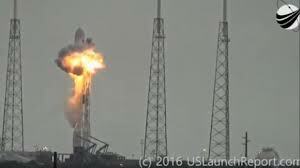 The Drone fired something explosive between the Rocket and the Launch Tower that blew the rocket into 1,000 pieces. Previous PostDR WILLIAM MOUNT: Shocking – Dollar About To Die While We Watch Side ShowsNext PostDR WILLIAM MOUNT: Guess Who Needs A Wheel Chair?